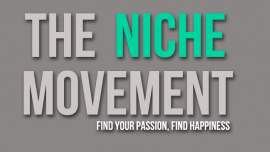 The Niche Movement is solving the problem of employment unhappiness for college graduates. We want their first job to be a job they love with an organization that values culture and development. I have spent the last 6 years working in student affairs and worked with over 150 students in multiple disciplines from recreation, marketing, service learning and student leadership. Over the last 2 years, I have seen several friends and former students I talk with about how they are unhappy in their job, how they don’t feel like they fit in their organization, and they don’t know how to find their niche and really stand out. In October of 2012, while sitting with some friends around a camp fire at my house, my best man’s girlfriend Benee said “you’re trying to help them find their Niche.” That’s when it hit me. The following day, I started the Niche Movement.” Over the last several months, I have been fine tuning my message, looking at how over populated career fairs are and how I can truly make this a “movement” and help graduating college students find their niche early in life. These are the people who are going to pay mentorships, innovative career exploration and exposure to new employers. These are the people who are going to work with The Niche Movement to access our curated talent pool of graduating college students. This is a segment that will pay to have The Niche Movement to campus to run workshops, keynotes and niche discovery for student leaders on college campuses. 1. Graduating college students - want to share strategies for finding a job they actually love in new organizations outside of attending a career fair. In short, they want to brag about finding a job they are happy in and a place to be part of a curated talent pool. 2. Employers/Start-ups/Small to mid-size organizations - want to avoid hiring the wrong people, avoid wasting time & money with large candidate pool and know what to look for in hiring entry level positions right out of college. 3. College Campuses - want to share new trainings they are bringing to campuses, share with administators and other institutions how they are training their students for the real world. iii. 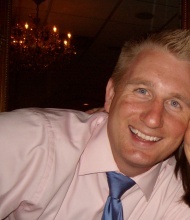 guidance in discovering their niche and organizations they want to work for. iv. small/intimate "reverse" style career fairs (invite only). ii. trainings on how to look for entry level talent and weed through large resume collection. iii. niche discovery & storytelling workshop to highlight students on that campus that can be used as a marketing piece for the institution. 1. Most college students just take a job to take it but end up being unhappy. They would pay to have a leg up on competition and have access/resources to look at organizations they would be happy in based on the Niche Movement's guidance. ii. Companies can't attend every career fair and it is easier to evaluate a person face-to-face than a resume. This is where The Niche Movement can work with organizations to create meet and greets with small curated talent pool of graduating college students. iii. Student affairs professionals that work with college students want the best for them when they graduate, so they will expose them to new practices and skills to set them apart especially if it will lead to happiness.